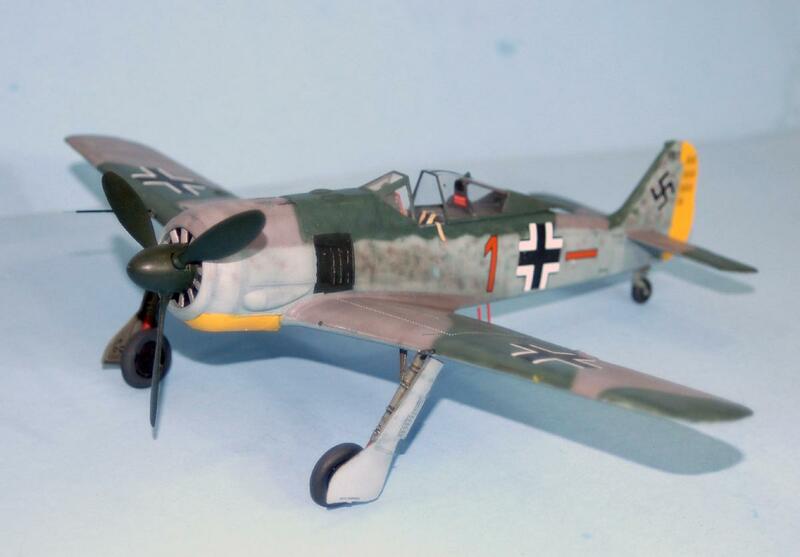 1942 could be called “the year of the Wurger.” While only 224 Fw-190As had been accepted by the Luftwaffe by the end of 1941, 1,878 would be produced at three different factories during 1942, the third being the Fieseler plant at Kassel that began production in May 1942. 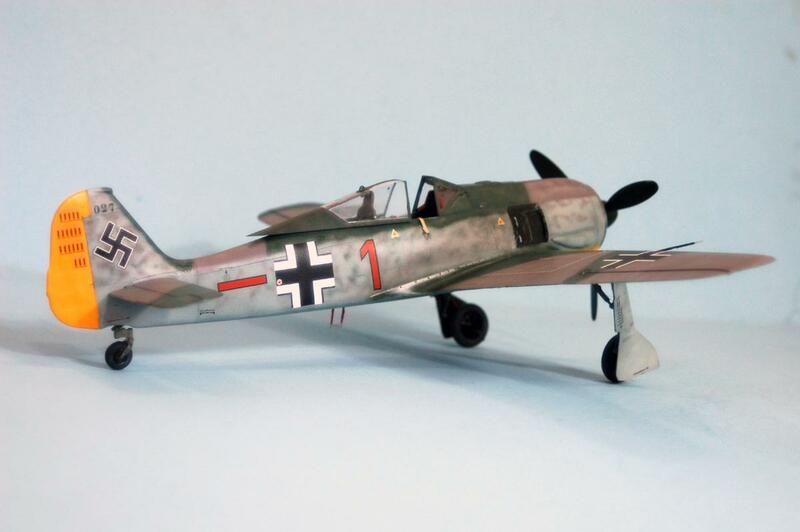 The last of the early “short-nose” Focke-Wolf fighters, the Fw 190A 4 was introduced on the production lines over the summer of 1942. 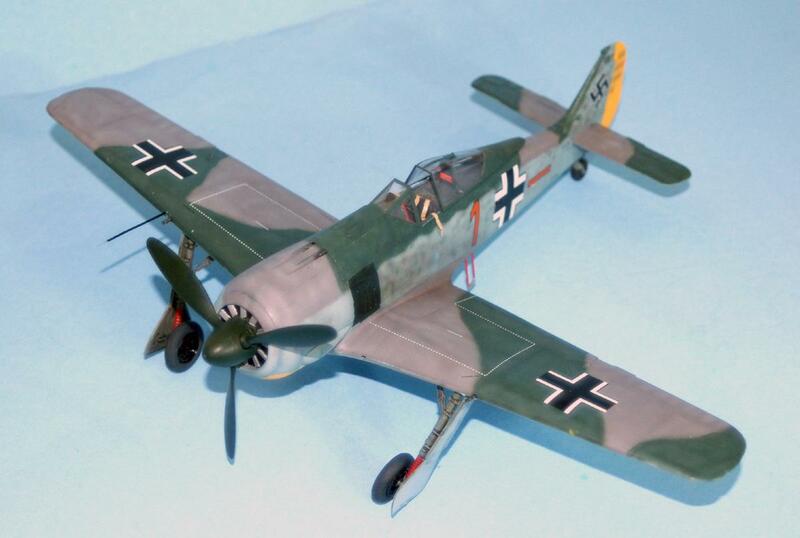 This sub-type differed from the preceding Fw-190A-3 by being equipped with the MW 50 power boost system to obtain additional power below the rated altitude of the BMW 801D-2 engine. By injecting a water methanol mixture into the cylinders, the engine could briefly sustain a compression over the redline and get a little more horsepower. 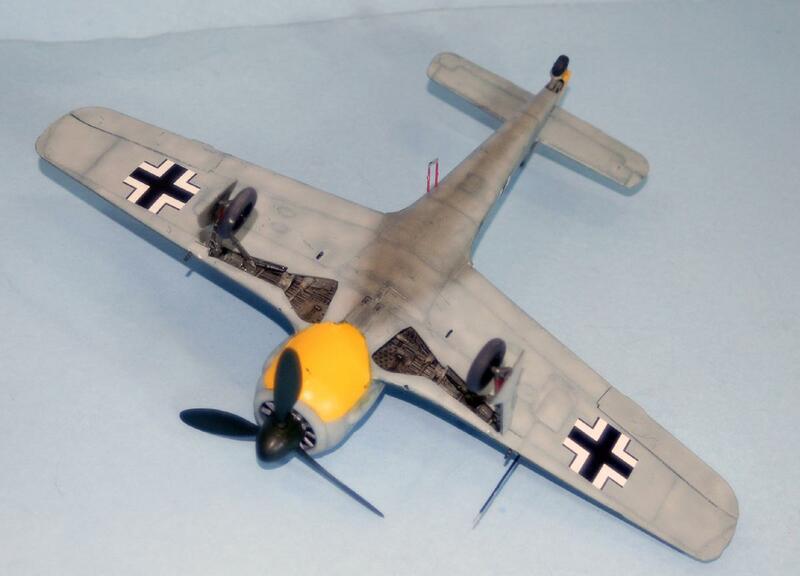 Beyond this, the only real visual difference from the A 3 was that the A 4 added a short radio antenna atop the vertical fin. 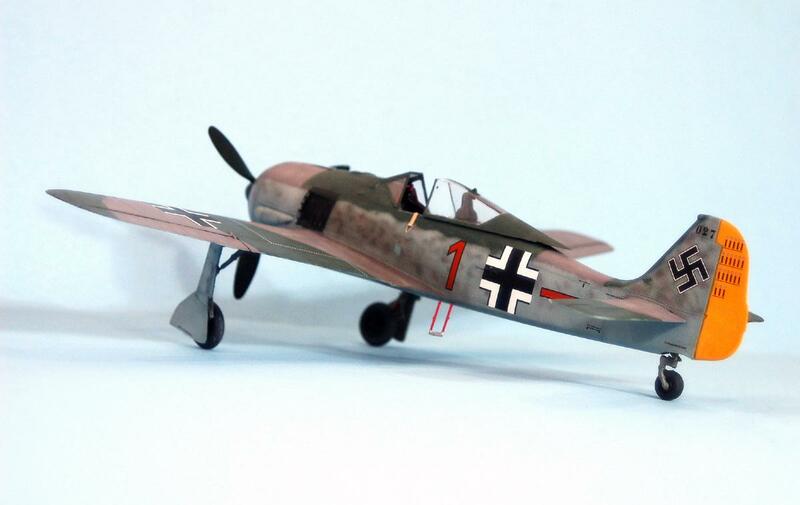 The Fw-190A-4 was the most-produced sub-type of the early Fw-190s. 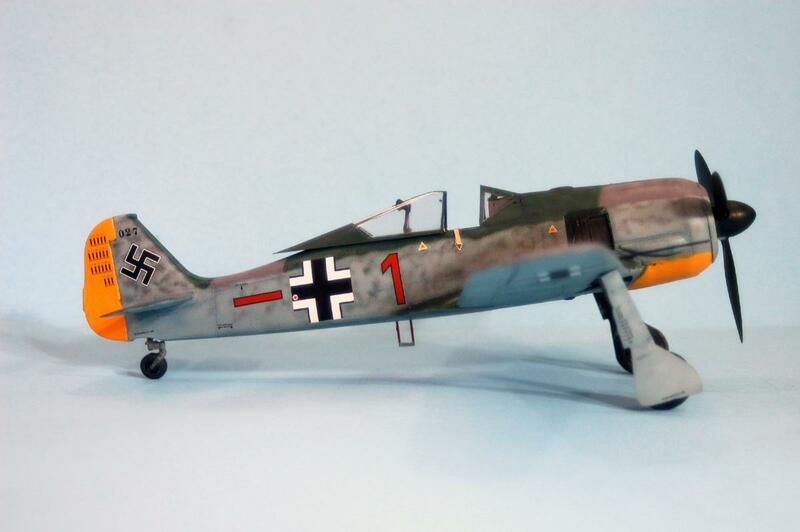 The Fw-190A-4 dominated air combat on the Channel Front until the summer of 1943. 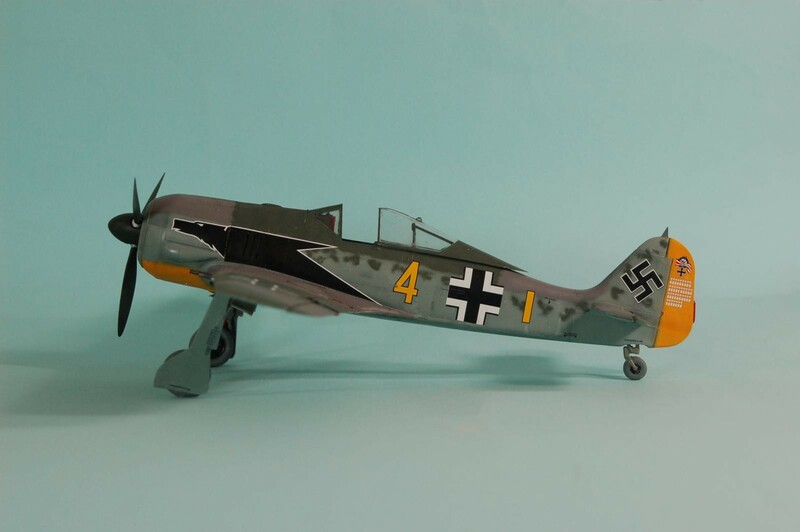 Even the hurried introduction of the new Supermarine Spitfire Ixc beginning in July 1942 did little to redress the balance; the Spitfire IX with its Merlin-60 series engine with two-stage blower just brought the Spitfire up to a position of relative equality with the Fw-190. 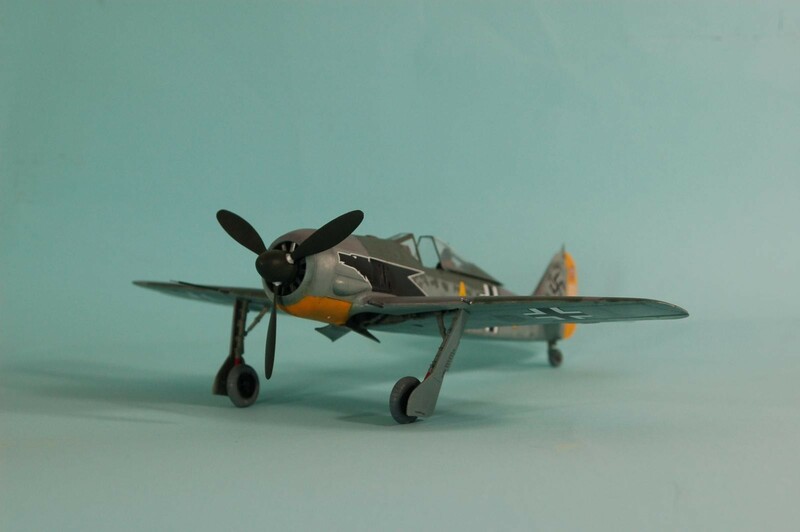 The two were so evenly-matched that Johnny Johnson, eventually the leading ace in the Spitfire IX, said that the outcome of combat between the two was entirely dependent on pilot skill. 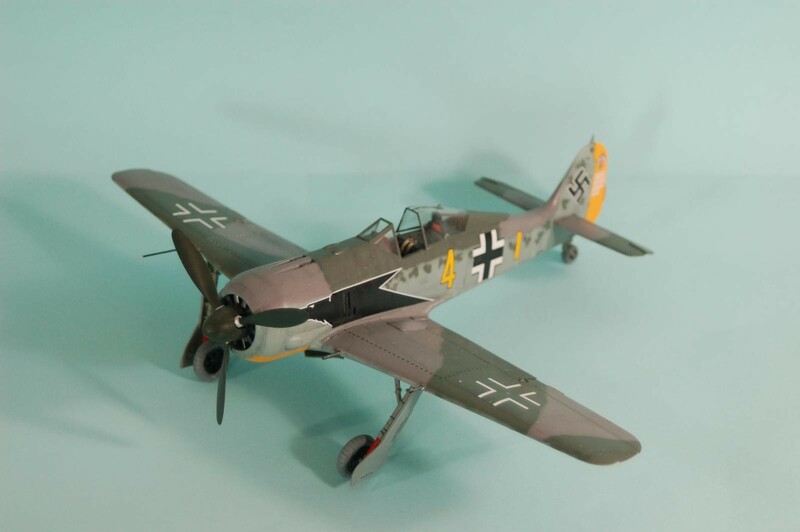 Only three Geschwadern were left on the Channel Front: JG 26 was left in northern France with JG 2 on the Brittany Peninsula and JG 1 in Holland after the transfer of Luftwaffe units to the east to take part in Case Barbarossa in the summer of 1941. 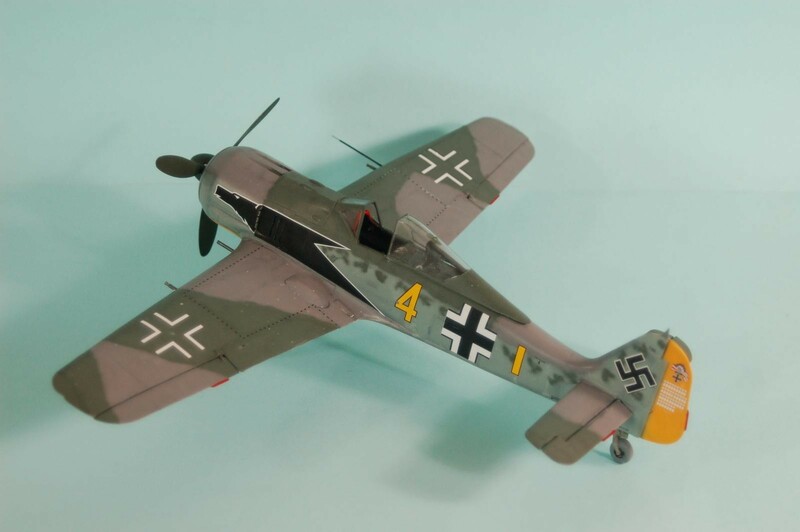 With a maximum of around 150 aircraft, primarily Fw-190s though some Bf-109Gs began appearing in the summer of 1942 to provide better high altitude capability, these three Jagdgeschwadern kept the Allies essentially at bay on the Channel Front until the summer of 1943 when units of the 8th Air Force began to appear in greater numbers. 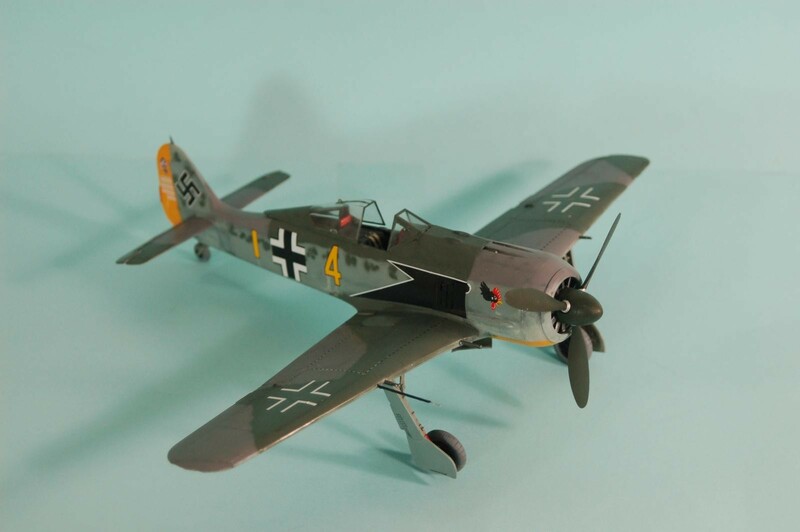 Pacific Coast Models is back. 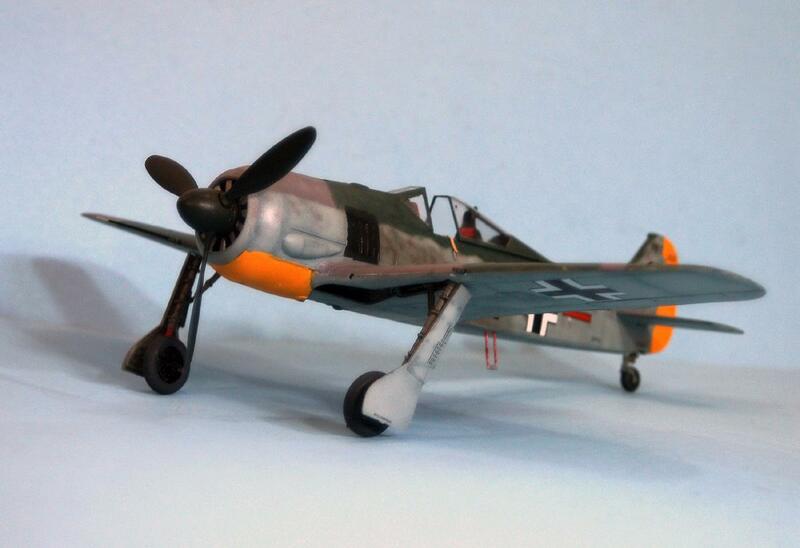 When Ken Lawrence closed Pacific Coast Hobbies last year, it looked like PCM was gone. 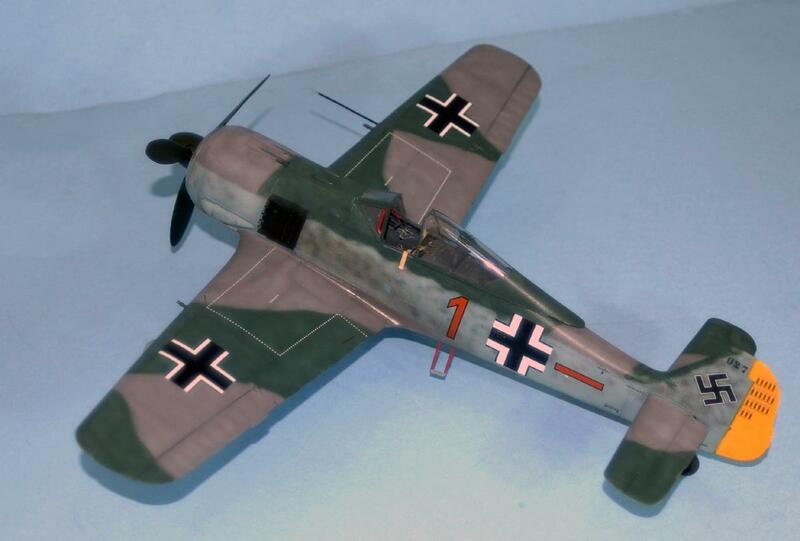 Loic Anthian, who ran Great Models, bought PCH and it now operates online as Kitlinx.com. 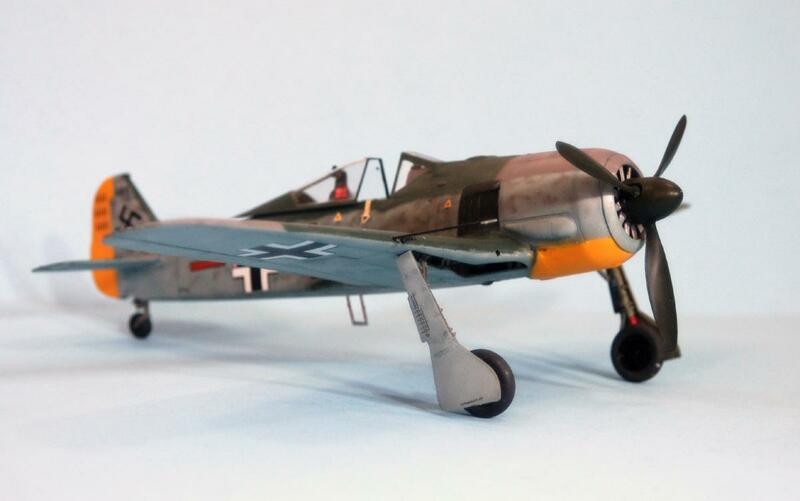 The first kit they have brought back is the short-nose Fw-190A. 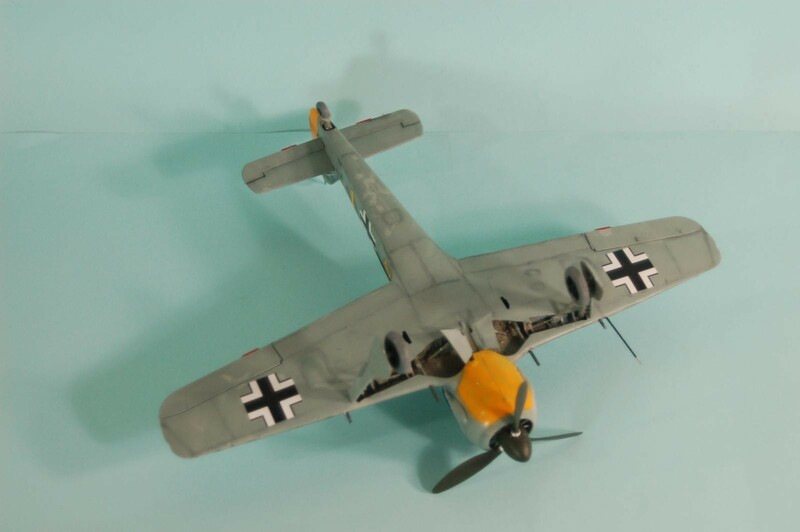 This release includes all the parts of the previous 2010 release, which allowed a modeler to do a Fw-190A-0, A-1, A-2, or A-3, and now includes resin parts for the upper vertical fin and the cooling gills, to make the Fw-190A-4, the most-produced version of the “short-nose” early Fw-190s. 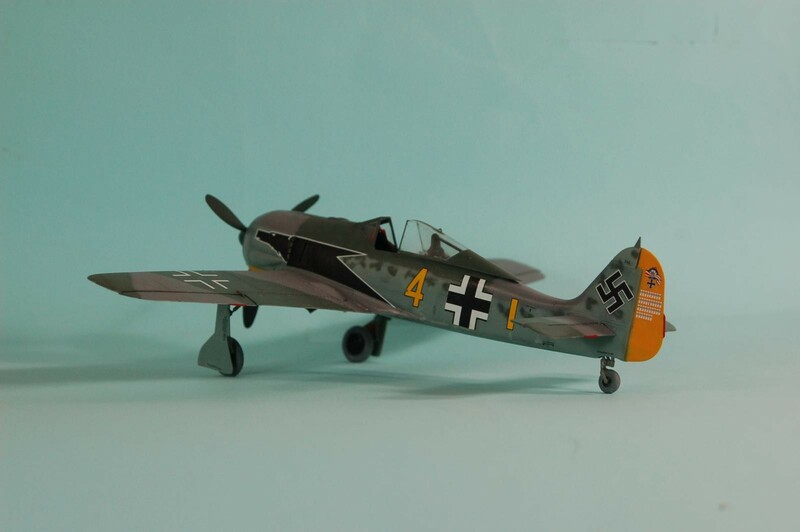 “Yellow 4” is the new Fw-190A-4. 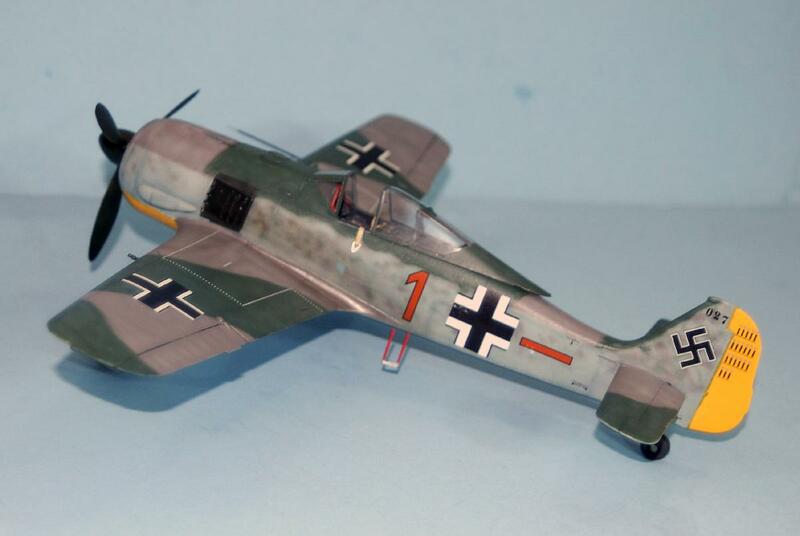 “Brown 1” is an Fw-190A-1, and an option you can do with this kit. 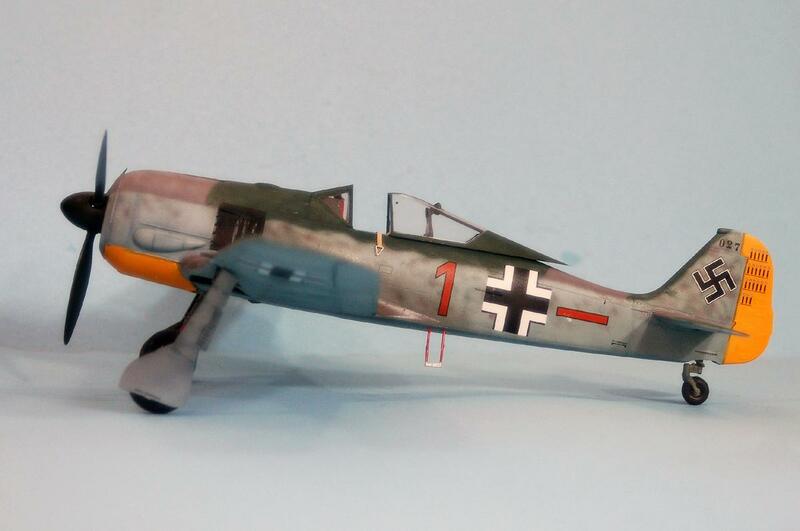 This kit is the only 1/32 “short nose” Fw-190A. 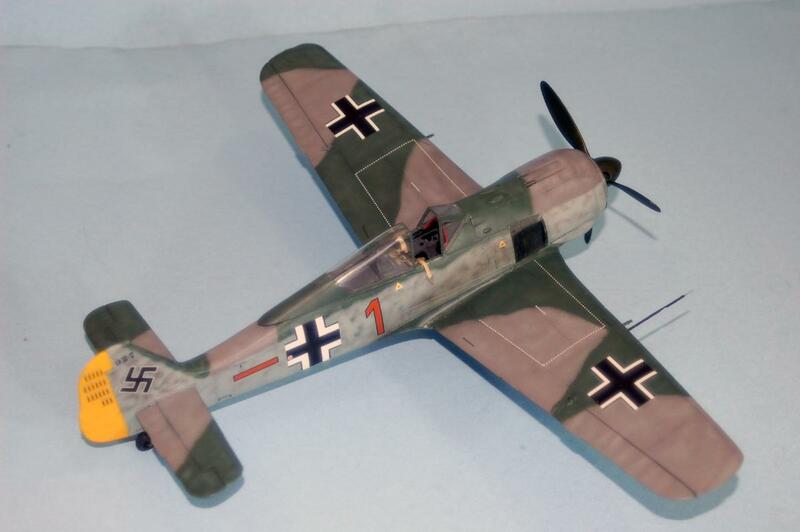 Liked This Article? 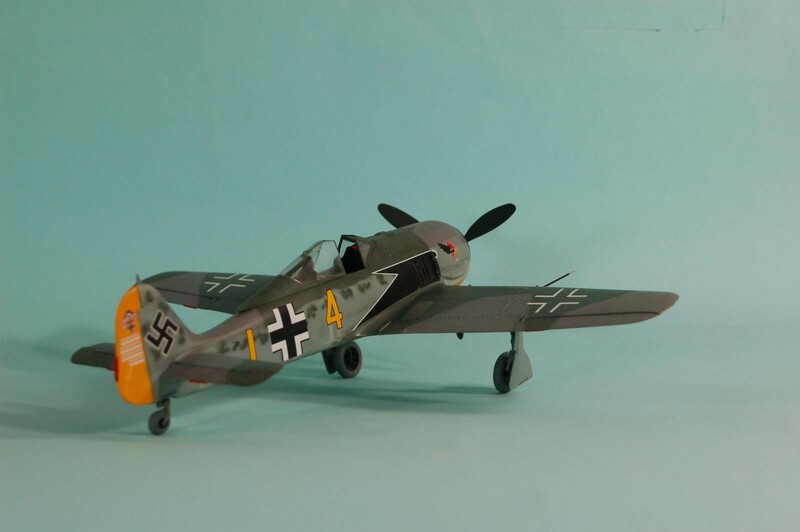 Read More from Tom Cleaver on Amazon. 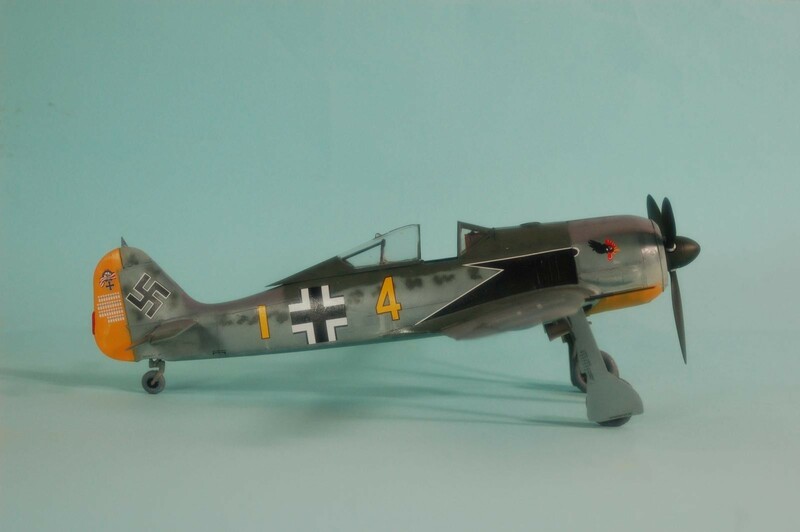 Hey Tom, those are some nice Butcher Birds! 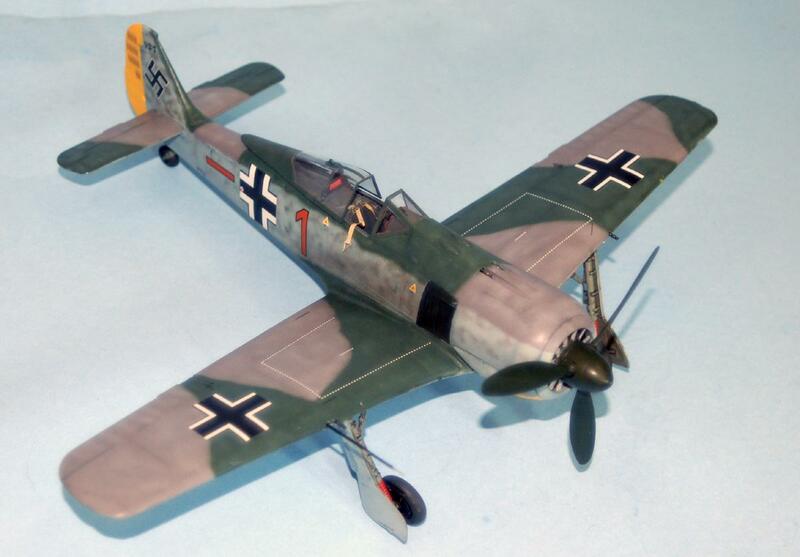 Another on my list of to be built but most likely in 1/48. Good job. You’re in luck. 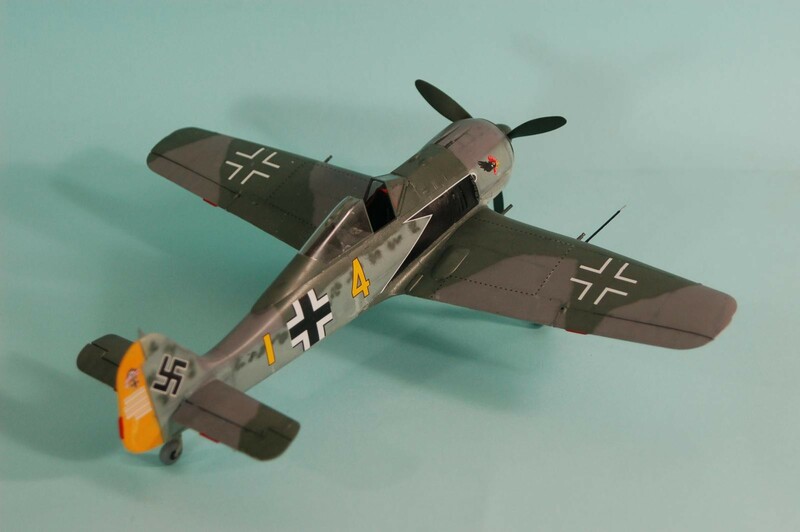 Eduard has the Fw-190A-3 and Fw-190A-4 out and is going to release Fw-190A-1 and A-2 later this year. Nice clean builds, TC….I like ’em.